As you start exploring different ways to make money travel blogging, affiliate marketing is something you’ll naturally encounter alongside display advertising. 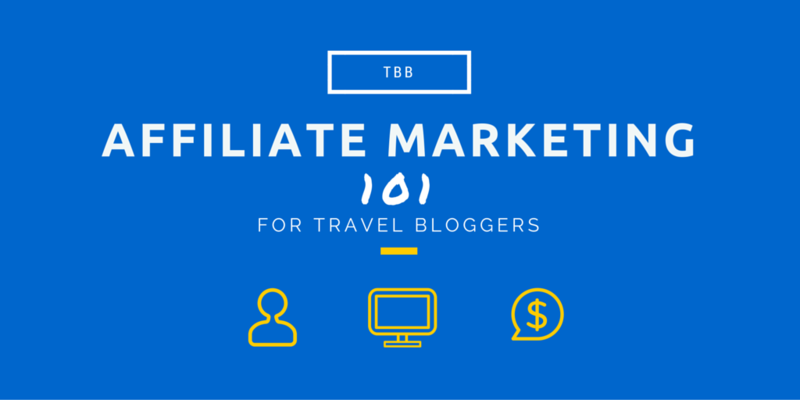 There are a ton of affiliate marketing guides out there but travel affiliate marketing websites that are really focused on how it works for travel bloggers. With this new travel blogger’s toolkit article, I want to make sure I set you up for success with this affiliate marketing 101 geared just for you. Affiliate Marketing in a Nutshell At its core, affiliate marketing really isn’t that complicated. As a blogger, you link to another company’s page from within your site. This can be a banner or a text link. Types of Affiliates Without over complicating things, let me break down the different types of affiliate marketing. This is the easiest form of affiliate marketing because all you have to do is drive traffic to your blog and bank on a percentage of people clicking through. More traffic means great chances of visitors clicking. The commission earned really depends on the program that you sign up for. There aren’t a lot of these types of opportunities in travel unless you count general banner ad networks. You only get paid if someone makes a purchase and nothing else. PPP except you make a fixed commission per sale instead a variable percentage. PPS but the difference is that you don’t actually have to get a visitor to make a purchase. All you need to do is convince your readers to click on the link and from there complete some sort of action like fill out a form, enter into a contest, or submit an e-mail address. Once that happens, you’ll get paid a fixed fee. Just when you thought it couldn’t get any more complicated, there’s also this thing called Tier 2 that I learned about at Affiliate Summit West. It sounds mysterious but all it is, is a program where you get paid every time you refer someone to an affiliate program. Don’t worry, you don’t really remember these but this is all to say that there are different form of affiliates. The most common in the travel world is Pay-per-performance. What Else Do You Need To Know?